Due to manufacturer restrictions, all sales for this item are final. 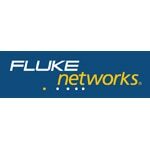 Customers can contact Fluke directly at 1-800-283-5853.This product is subject to our return policy. Please see our complete return policy for details.